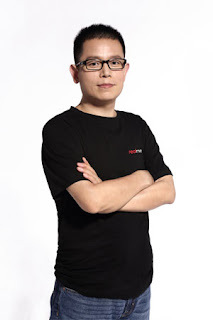 Home » News » Resign, This Former Oppo High Officials Set Up "Realme"
Resign, This Former Oppo High Officials Set Up "Realme"
Through his social media account, Bingzhong Li (Sky Li) announced that he officially resigned from OPPO and established the Realme technology brand. 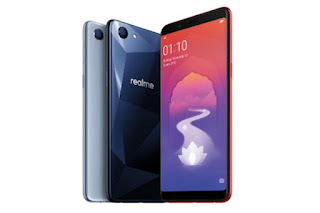 In the future, Realme will focus on providing smartphones that combine fast performance, stylish designs and affordable prices for young people. Sky Li is a former Vice President & Head of Overseas Business Department OPPO, which succeeded in developing OPPO business in 31 countries, including in Indonesia, other countries in Southeast Asia, South Asia, Middle East, Africa and Oceania. Under the leadership of Sky Li, OPPO became a smartphone brand that has always been ranked in the top three in many countries, making a strong foundation for OPPO leadership in the global smartphone industry. Realme is founded on Sky Li's business experience in foreign markets for years and insights into demand from global youth. According to years of research and deep interaction with consumers, Sky Li found that although young people around the world have different desires from a smartphone, they have the same demands: performance and design. For young people all over the world, smartphones are not only a means of communication, but also a primary tool for socializing, entertainment, work and learning. In addition, the design and appearance of smartphones are also considered a symbol of their personality. However, the current price of smart phones is still considered high enough for those who are looking for performance and design at the same time. They often complain that smartphone performance slows down easily, or bad battery performance, or designs that tend to be boring. To solve this problem, Sky Li created a Reality that focuses on providing smartphone products that have the concept of 'power meets style' or the integration of fast performance and trendy designs. This is why Realme1, the first smartphone from Realme, has gained widespread recognition as a smartphone that has exceptional design and performance after being launched in India in May 2018. Realme1 sold out in two minutes after it was available on the Amazon India site, making Realme1 a smartphone product that received the title "Best Seller". As a smartphone brand aimed at young people, Realme also has a composition of employees who are quite young with an average age under 30 years. By having young employees, Realme has laid a strong foundation for understanding smartphone desires for young people around the world and is ready to fight in the global market, not least in Indonesia. According to a report from Gartner, smartphone sales in the global market have increased in the first quarter of 2018. Global smartphone sales volume in the first quarter of 2018 reached 384 million units, an increase of 1.3% compared to the same period in 2017. The main role of the smartphone market in the country developing still has a strong influence on global market smartphone sales. In Indonesia alone, market research institutions IDC released Quarterly Mobile Phone Tracker reports for the fourth quarter of 2017 and 2017 as a whole. Smartphone shipments in Indonesia reached 7.8 million units during the period, with total annual shipments of 30.4 million units in 2017. Realme will focus on market demand for affordable smartphones, fast performance and stylish designs that currently still quite high. Realme will also make Indonesia an initial momentum to move into a smartphone player in the global market. 0 Response to "Resign, This Former Oppo High Officials Set Up "Realme""